Chris Woakes is hoping to see Liam Dawson return to the England fold in the near future, with the Hampshire man having been ruled out of the remainder of the tour of Sri Lanka. Dawson played in the opening two one-day internationals in Dambulla, but reported a problem in his side which has proved serious enough to see him head home and sit out the remainder of the limited-overs action. He's been in and out for quite a while and hasn't had many opportunities to play. 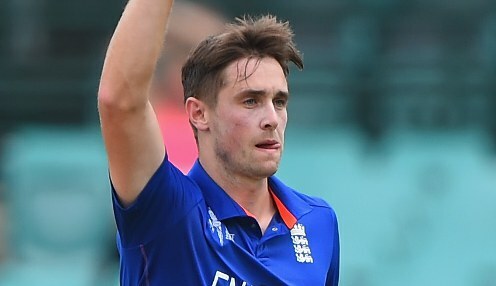 And fellow all-rounder Woakes feels sorry for his colleague, who is still trying to secure a regular spot in the national team set-up. He told reporters: "It's a bit of a shame for Daws. The big thing about him is that he's a brilliant team man. "He's been in and out for quite a while and hasn't had many opportunities to play. Now, when he looks like he is going to be a shoo-in for that third spinner's role, he unfortunately gets a bit of a niggle. "He'll be as frustrated as anyone. Hopefully, it is not too bad and he can play a part moving forward. He deserves his opportunities." Minus Dawson, England are back in action on Wednesday in the third ODI in Kandy, with the tourists holding a 1-0 lead in the five-match series after two rain-affected matches. Joe Denly has been called up to replace Dawson, with the Kent man having already secured a place in the squad for the upcoming Test series. England are 1.30 to win the third one-day international against Sri Lanka, with Woakes 4.00 to be Top Team Bowler and 17.00 to be named as Man of the Match.